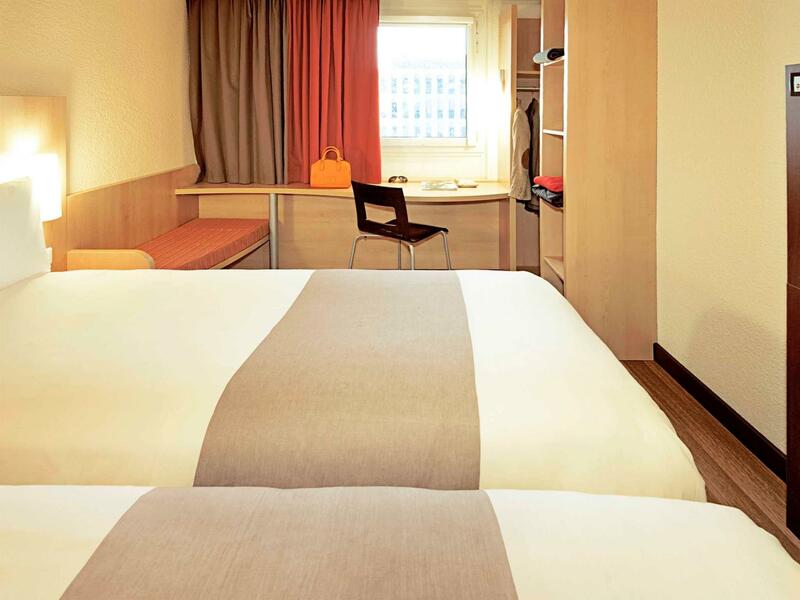 ﻿ Ibis Lausanne Centre Hotel Lausanne. JIMAT di Agoda.com! 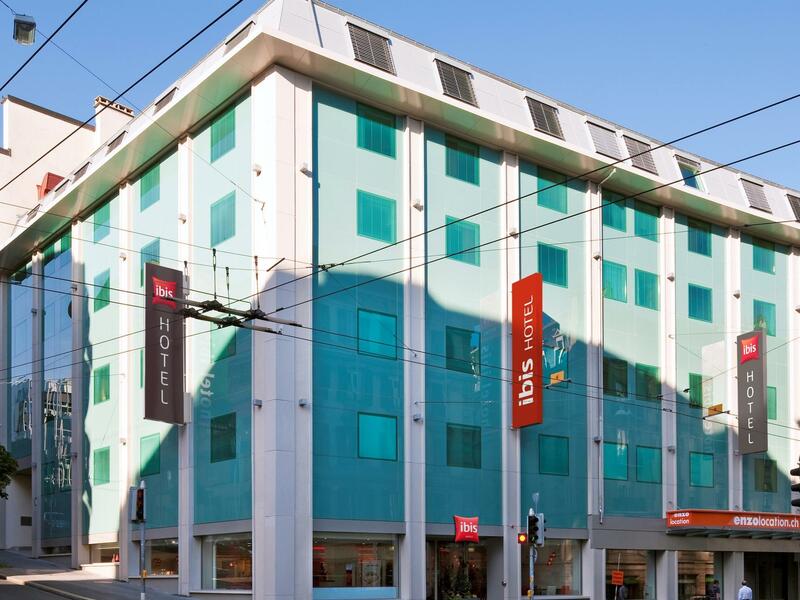 Ada soalan mengenai Ibis Lausanne Centre Hotel? Bagi para pelawat yang ingin menikmati sepenuhnya pengalaman di Lausanne, Ibis Lausanne Centre Hotel merupakan pilihan tepat. Dari sini, tetamu boleh menikmati semua kemudahan yang bandar ini tawarkan. Juga terletak berdekatan adalah Menara Ale, Koleksi, Collection de l'Art Brut. Accor Hotels terkenal kerana perkhidmatan yang berkualiti dan kakitangan yang ramah, dan Ibis Lausanne Centre Hotel ternyata seperti yang dijangkakan. Fasiliti utama di penginapan juga termasuk Wi-Fi percuma semua bilik, fasiliti tetamu kurang upaya, Wi-Fi di tempat awam, tempat letak kereta, lif. Alami bilik dengan kemudahan berkualiti tinggi sepanjang anda menginap di sini. Sebahagian bilik menyediakan televisyen skrin rata, tuala, internet wayarles, penyaman udara, pemanas untuk memudahkan tetamu berehat dan kembali bertenaga. Di samping itu, pihak hotel menawarkan aktiviti rekreasi untuk memastikan anda mempunyai perkara untuk dilakukan sepanjang penginapan anda. Apabila anda mencari penginapan yang selesa dan mudah di Lausanne, ijadikan Ibis Lausanne Centre Hotel sebagai rumah anda seperti berada di rumah sebenar. Harap maklum Cukai Bandar sebanyak CHF 2.50 semalam tidak termasuk dalam harga bilik dan perlu dibayar terus di penginapan. This is a pretty standard budget hotel and you get what you expect on the inside. The location however is just perfect for exploring Lausanne being only a short walk from the centre and the history of the town. The hotel also gave us free public transport passes for our stay so for a trip to the lakeside we barely broke a sweat despite the heatwave. This hotel is not in the train station area but it is easy to get there by bus. Only few stops from Lausanne train station. Even with 3 kids and 4 luggage, there was not a problem by getting there riding on bus. Down the road, you can find some convenient stores,mini markets and restaurants. Also, when the days we stayed there, there was a farmers' market on Saturday morning. We will stay again if we are in Lausanne area. Good value for money especially in Lausanne. Great lication just mins from walking shopping street. Bus 3 and 21 is just across the road and 4 stops from Lausanne gare with good spaces for luggages if you need . Reasonable price breakfast as compared to what is available outside the hotel . Even a McDonald's cost close to 20 Swiss francs with no comparable spread. This Ibis is everything I have come to expect from this hotel chain. The rooms are always very modern and modest in size with excellent beds and great showers. Breakfast was first rate with a wide variety of European and American favorites. A parking garage came in very handy and the charge was reasonable . A free city-wide transportation card was offered at check in and was used during our stay.The price was very reasonable and the area surrounding the hotel had a wide range of restaurants. I have asked for a proper invoice. I have been told that I would only receive one by Agoda. However Agoda could not be contacted. I am still awaiting for a proper invoice wiht the tax on it after i have written several e-mails. Nothing fancy but we found a great deal online for 2 night at the beginning of December. The location is just PERFECT: bus stop at 50m, walking distance from the pedestrian street and shops, we couldn't ask for a better place to stay. Ibis is known for being the " no frills solution" of the Accor's hotels and we know it: however, we were very pleased for what we had. Comfy bed, perfectly cleaned room and bathroom and soundproofing room. Staff was friendly and helpful. I lost my phone in bathroom. I had shower listening music from my phone. it was dropped back in the shower booth. (I think Nobody understand without picture...) I told about that to counter. after 30min, repairman took a shower booth to piece.... He worked hard smiling for me with top100 country music I found my phone and travel pictures... I appreciate it. I will choose a different hotel next time. One of the staff at the reception was helpful, one was ok but the male staff was rude. He complained that leaving the hotel key card at the reception when I went out gave him more work and he was rude when I asked about the direction. Lausanne is one of a number of cities in Switzerland that gives visitors staying in hotels free public transportation, which is a terrific plus. Ibis is a consistent, reliable brand. We have stayed in many of them and have never been disappointed. This hotel is a fairly reasonable option in an expensive city. Our room was surprisingly spacious, especially by European standards, and the shower was most welcome both in size and spray. We appreciated the metal shutters which block out the light (prepare for it still being light at 22:00 in high summer). Though the hotel is on the corner of two fairly busy streets, our room was quiet. The hotel is ideally placed for those who want to visit the Collection de l'Art Brut (highly recommend!) - about a 12-minute walk - or the city's old town, about 10 minutes away. Check-in is easy, and reception is helpful. 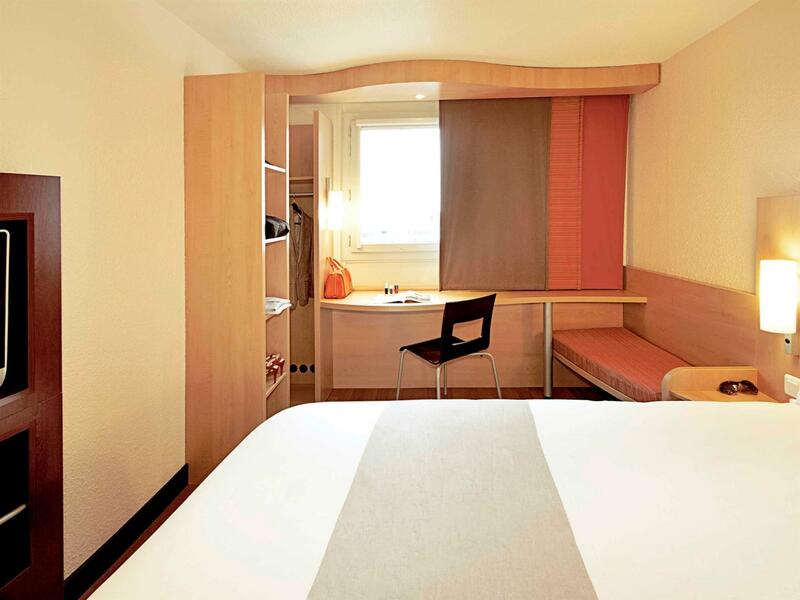 We would love to return to Lausanne soon, and we won't hesitate to book again at this hotel. 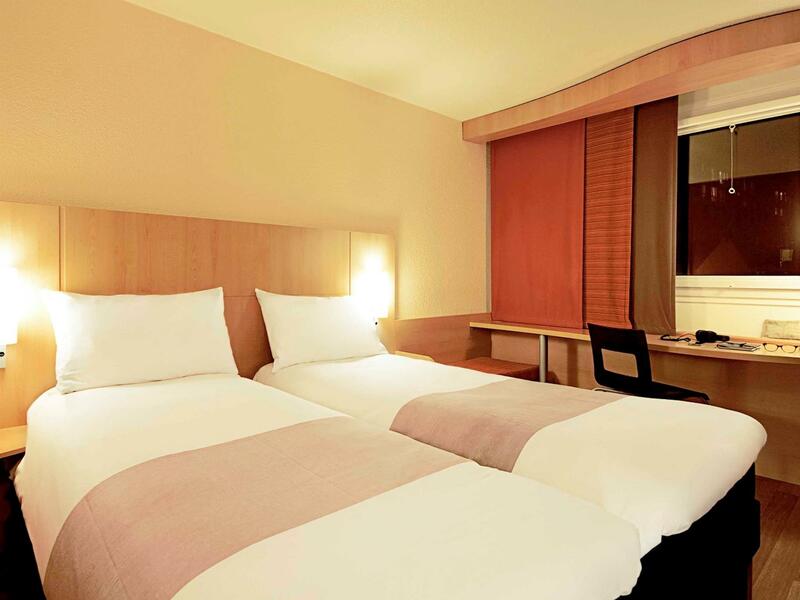 Simple budget hotel, but u may want to prepare your own toiletries. However location is good. My stay was good. However room was too small and not near the train station. Good location ,near to the bus and train station, very relaxing and comfortable stay.